By developing Dualtec® Engineered Yarns, we have set new standards of comfort for personnel protective equipment (PPE). Dualtec® Engineered Yarns provide the highest cut and thermal protection possible for PPE wearers. 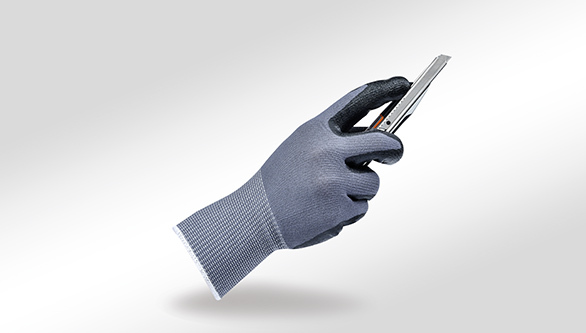 Dualtec® Engineered Yarns are ideal for knitting and weaving to create soft, comfortable, cut and heat resistant gloves, sleeves and garments. Dualtec® Engineered Yarns contain high performance synthetic materials, including p-Aramid, m-Aramid, ModAcrylic, Nylon, m-Imid Amide , UMWPE and Carbon Fibre. Dualtec® Engineered Yarns are made at both our UK and Indian sites using a variety of manufacturing processes, many of which are unique to Culimeta-Saveguard. Some Dualtec® Engineered Yarns are manufactured using a bespoke core spinning process, where fine filaments of wire, textile grade glass fibres or other high performing filaments can be included to increase the yarn’s cut resistant properties beyond Level 5 (EN 388).